In my Fish Fry this week, I investigate the curious case of QuickLogic, Lattice Semiconductor’s new HiGig MAC IP Core, and Mercedes Benz’ new Biome concept car. Also this week, I announce the winner of the very first Fish Fry nerdy giveaway. If you like the idea of this new series, be sure and drop a comment in the box below. We appreciate all of the comments submitted so far and we are working on implementing as many as we can. If you don’t like it, please send your comments to spam@techfocusmedia.com. We’ll get to them right after I refinance my house, refill my online prescriptions, and help out that friendly Nigerian banker who keeps e-mailing me. OK, seriously – all comments are welcome. 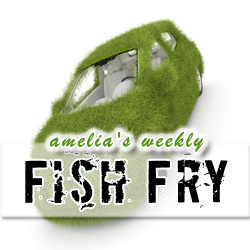 We’ll be working to enhance the Fish Fry each week – as long as you’re watching.